Well, this seems like the coolest thing, getting Skype on Android.Bbut I can’t download Skype on Android like most folks out there. “The requested item could not be found”. Lets see if Skype people can let me know whats wrong. 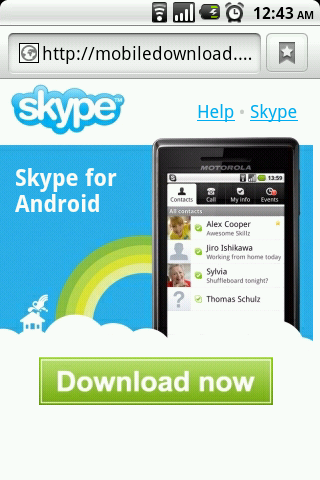 I have skype on my Android X10 Mini and it’s working fine.